Bucharest, September 17th, 2018: H.S. 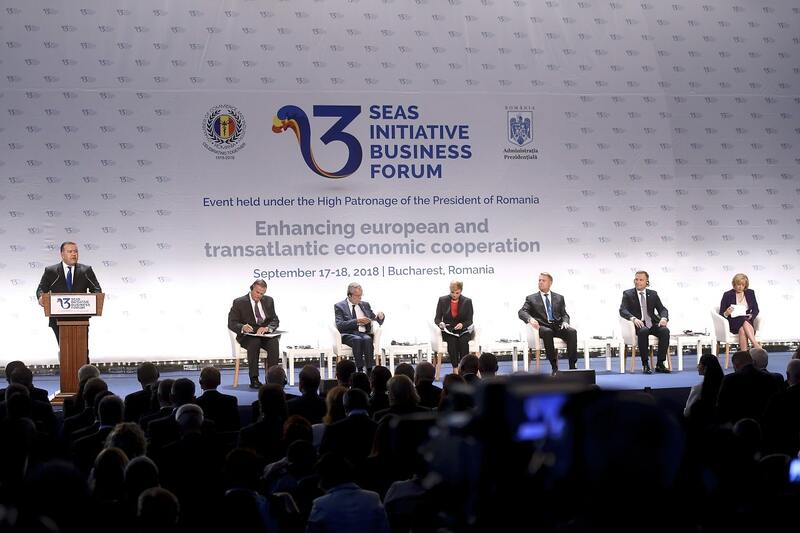 the President of Romania, Mr. Klaus Iohannis, together with the President of the Chamber of Commerce and Industry of Romania (CCIR), Mr. Mihai Daraban, were hosts of the first edition of the Business Forum, held in the margin of the third edition of the “Three Seas Initiative” Summit organized by the Presidential Administration and the CCIR in cooperation with the National School of Political and Administrative Studies and the Atlantic Council of the United States under the High Patronage of the President of Romania. The event was attended by the President of the Republic of Croatia, Mrs. Kolinda Grabar-Kitarović, the President of the Republic of Poland, Mr. Andrzej Duda, and the President of the Republic of Austria, Mr. Alexander Van der Bellen, as well as the Presidents of Nationals Chambers of Commerce, government officials from the partner countries within the Initiative , from the other EU Member States, the United States of America, the Western Balkans, the Republic of Moldova, Ukraine and Georgia, representatives of the European Commission and European and international financial institutions, as well as representatives of the economic and academic environment. The objective of the Forum is to stimulate business initiatives and investments in the region, debate the implementation of priority projects, and also address potential growth and innovation factors such as SMEs, young entrepreneurs, start-ups and business incubators region. 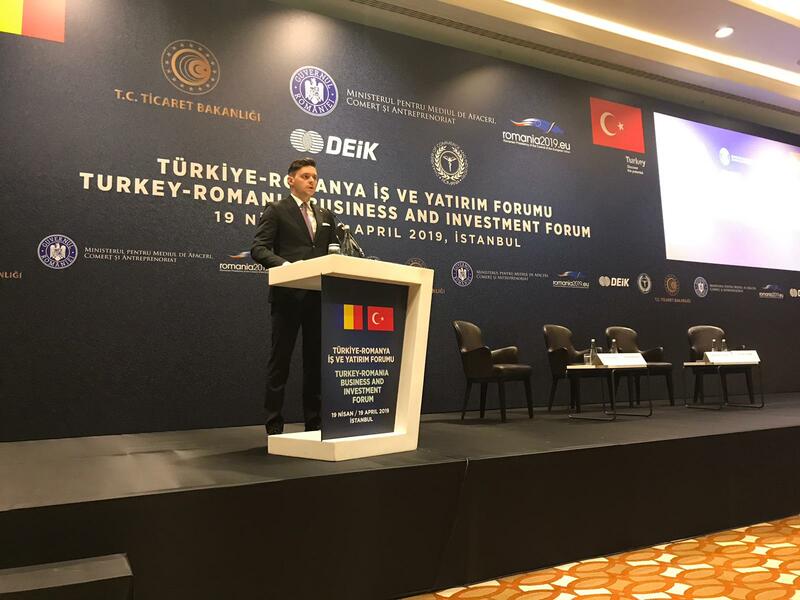 Within the Forum, business-to-business (B2B) and business-to-government (B2G) meetings will be organized as well as policy debates to analyze the strategic implications of developments within the Initiative. In the framework of the Business Forum, the National Chambers of Commerce in Bulgaria, Slovenia, Croatia, Hungary, Poland, Lithuania, and Romania signed a cooperation document to ensure the development of trade relations and to stimulate business initiatives and investments in the three seas region. 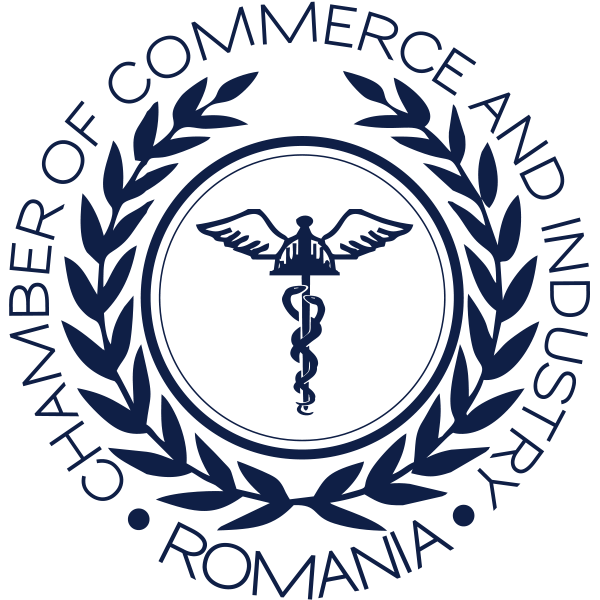 The agreement between the Chambers of Commerce refers to the exchange of information on their companies, their solvency, and creditworthiness and the dissemination of business opportunities. It also seeks to identify common projects and how to finance them. The Business Forum, which takes place between September 17-18 at Romexpo, gives to the participants the opportunity to establish B2B and B2G contacts with officials and companies from the EU member states, the United States of America, the Western Balkans, the Republic of Moldova, Ukraine, Georgia and Turkey, as well as representatives of the European Commission and European and international financial institutions. The Business Forum of the Three Seas Initiative is a commitment to the Warsaw Initiative Summit Declaration of 2017 and aims to develop economic development in three main areas (transport, energy, digital) in order to create an area of stability and prosperity. At the same time, it is intended to establish a new dynamic of cooperation between the countries located on the eastern border of the EU on the North-South axis, which will lead to economic zone growth and will help to reduce the economic disparities within the European Union. The Three Seas Initiative – Baltic Sea, Adriatic and Black Sea brings together 12 countries: Austria, Bulgaria, Croatia, Czech Republic, Estonia, Hungary, Lithuania, Latvia, Poland, Romania, Slovakia and Slovenia, and was presented at the end of September 2015 at The UN General Assembly of New York, as a request by Croatian President Kolinda Grabar-Kitarovic and Polish President Andrzej Duda. In August 2016, a joint declaration of the 12 states is adopted in Dubrovnik, and in the summer of 2017, the second forum of the initiative takes place, with the participation of US President Donald Trump.